A Newberg man is in custody after his arrest on federal charges alleging he made threats against an Oregon high school and a college in California. Vasiliy V. Barbiyeru Jr., 24, was arrested by Lake Oswego police on March 1 for allegedly threatening a shooting at Lake Oswego High School earlier that day in a call that led to the lock-down of the high school and several other buildings. He told a staff member during a rambling two-hour phone call that he liked school shootings and mass shootings, referenced guns, chemical weapons and other weapons of mass destruction, according to papers filed in court by the Department of Justice. According to police, Barbiyeru told LOHS administrators that "I'm coming over now and it's not going to be good." He also allegedly claimed he had guns as well as other weapons. Police later determined that the call was coming from outside Lake Oswego, allowing the school to end the lockdown as there was no threat to students. Barbiyeru was charged with first-degree disorderly conduct in Clackamas County Circuit Court after his arrest by the LOPD, which discovered during forensic examination of his cell phone that he had also allegedly attempted to call McMinnville High School. The examination of his cell phone records also determined the man had researched both high schools as well as searched gun stores in the area, according to court papers. An investigation by the FBI began in earnest March 27 when the federal agency became aware of multiple alleged threats made by Barbiyeru. The FBI worked in conjunction with police departments in Newberg and Lake Oswego. It wasn't the first time Barbiyeru had run afoul of the law for threats made against educational institutions. 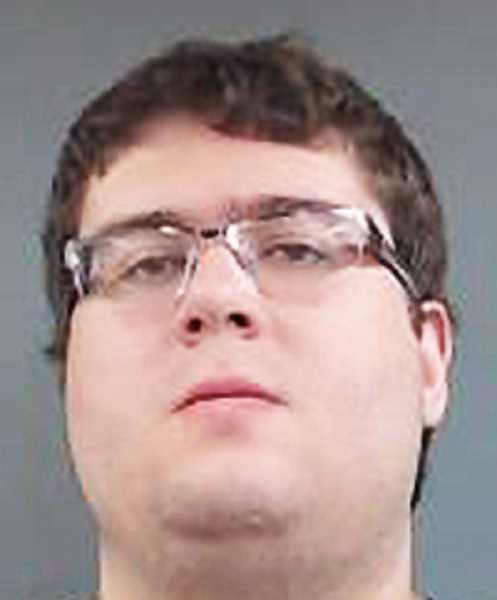 "I learned that officers from the Newberg-Dundee Police Department arrested Barbiyeru Jr., in June of 2018 after the president of Deep Springs College in California contacted the FBI regarding an online threat Barbiyeru Jr. had made toward his school," FBI Special Agent Daniel McLaughlin wrote in a probable cause affidavit filed April 1 in U.S. District Court in Portland. "I learned that Barbiyeru Jr. posted to an online forum, threatening to conduct a school shooting at the college on Oct. 5, 2017." McLaughlin continued in the affidavit that Barbiyeru was soon after contacted by FBI agents from the agency's Salem office. "During that interview Barbiyeru Jr. told the FBI agents that 'people make jokes' in regards to his threatening online forum post. When asked if he had serious thoughts about harming other people, Barbiyeru Jr., stated that he wanted an attorney." His interaction with federal law enforcement, it appears from reading McLaughlin's statement, did little to curb Barbiyeru's desire to raise havoc. "I learned that, on Oct. 7, 2017, just two days after speaking with FBI special agents, Barbiyeru Jr. sent a personally addressed threatening email from (his email address) to multiple staff members of Deep Springs College." "If you're not going to kill yourselves I will just help do it for you. Call the cops, call the FBI. I'm ready to kill some college students. … Read my essay that I sent to you under Barbiyeru Jr.'s application. That's going to be the manifesto that news outlets will read while you're grieving for your dead students. … Read it again and sleep tight. It's going to happen." As he lived in Newberg at the time he sent the email, Barbiyeru was charged on June 26, 2018, with second-degree disorderly conduct in Yamhill County Circuit Court, charges that are still pending. Barbiyeru was arrested by NDPD officers in late March for violating a court order barring him from contacting Deep Springs College, both via an email and also through a $100 online donation to the school on Jan. 2. He also faces a federal charge of interstate communications - threats. He remains in custody after an April 2 appearance before U.S. Magistrate Judge Stacie F. Beckerman found that the escalation in his behavior, coupled with his violation of the court order in Yamhill County and possible mental health issues, required that he be detained as a potential flight risk and a danger to the community.